GREAT NEWS FOR ALL OUR YOUNG FANS! 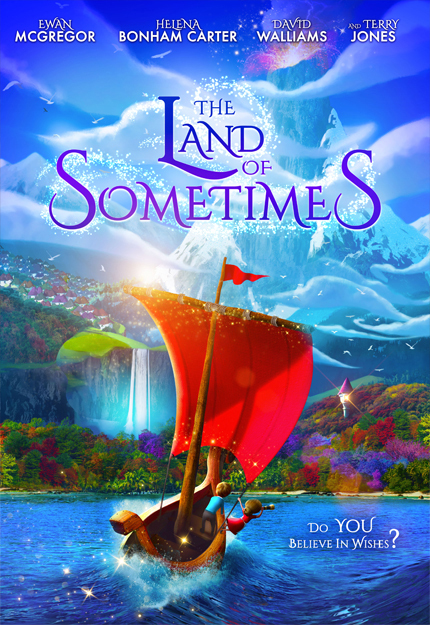 The Land Of Sometimes is soon to become a special animated feature film for Christmas, starring all the inhabitants of The Land Of Sometimes in a fantastic new adventure! The story features a wonderful new character based on ‘The Guide.’ He is called ‘The Wish Collector,’ and he travels the world collecting children’s wishes and makes them all come true, in most unexpected peculiar ways! The story follows the journey of Elise and Alfie, a young brother and sister who constantly keep wishing for more, until the night before Christmas a strange and mysterious gentleman called The Wish Collector appears and whisks them off to the Land of Sometimes, where all their wishes can come true. But in this magical, Alice in Wonderland type world, their wishes are the last thing they want as they have to journey, enduring the various seasons of the island and having strange and wonderful encounters with the unique characters who live there. With stunning and mesmerising songs intertwined with this magical journey of discovery, they soon realise that true happiness comes from the things they already have and not those things they wish for - A magical musical adventure for the whole family. Plus some other amazing actors who we are about to officially announce, so we will keep you posted! in aid of ‘DYLEXIA ACTION’ under the amazing musical directorship of Mo Westworth! Copyright The Land Of Sometimes. All rights reserved. Web design & development by Blade Design and ElevationStudios.